Salt Baked Bream - Orata al Sale ~ Sardinia Baby! A popular dish in Sardinia and Sicily this simple recipe keeps all the moisture in maintaining all the flavor of the fish! 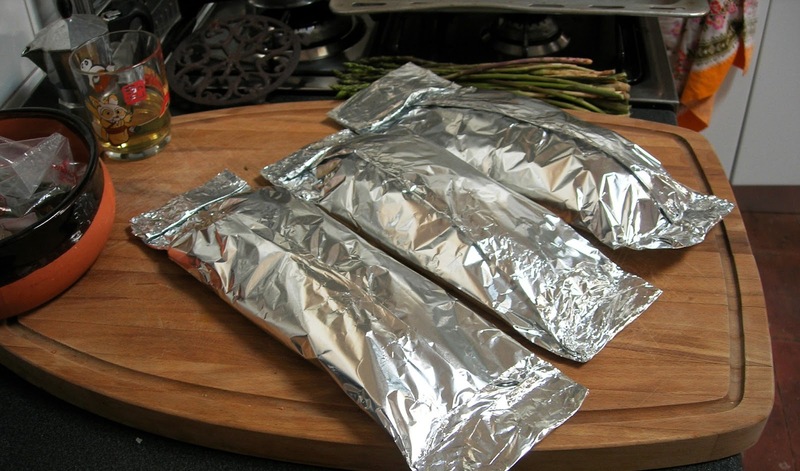 Cut two pieces of foil large enough to make separate parcels for the fish. On each piece spread 250g's of salt patting gently until evenly spread and big enough to lay the fish on top. Place the fish on top of the salt and cover with the remaining salt again patting gently until the salt is relatively smooth and compact. Close each parcel making sure the fish and salt are completely covered. Pre-heat the oven to 160 degrees. Place the fish parcels on a baking tray and cook for approximately 25 minutes. 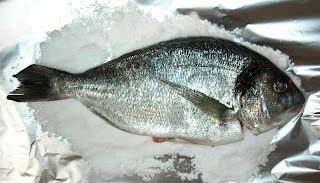 When done gently open the parcels, break off the top layer of salt, lift the fish out and serve. Use the lemon to garnish. Enjoy!